Enjoying a Good Splash | Flickr - Photo Sharing! 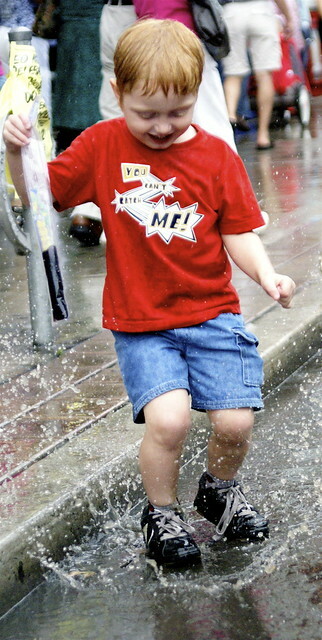 Trevor Bond, 4, enjoys a good splash on Bloor Street during the Honest Ed Day celebrations in Toronto. Toronto celebrates Ed Mirvish Day on Bloor Street between Markham and Bathurst on Sunday August 12, 2007. Essential Images and CBC Radio 3 added this photo to their favorites. Great shot! Hey, if the weather can't be nice, you may as well find a way to still have fun with it, right? Photo ©Roger Cullman. All rights reserved.